Donald Trump campaigned promising to roll back most of Barack Obama’s domestic and foreign agenda. In light of that promise, his decision to decertify the 2015 Iran nuclear deal, considered by many to be Obama’s greatest foreign policy achievement, is not particularly surprising, despite the fact that it disregards statements of support for the deal from two of the most powerful members in the United States military. While it may not possess the shock value of some of Trump’s other actions, like his withdrawal from the Paris Climate Accord, it is still a woefully misguided policy decision, based on misconceptions regarding the deal’s specifics and a fundamental misunderstanding of the political situation in Iran itself. Instead of reducing the threat Iran poses to the United States, Trump may have exacerbated it, by eliminating an agreement that makes nuclear development virtually impossible in Iran. Any foreign policy expert, save the most passionate Obama apologists, would admit the Iran deal is flawed. As far as American interests are concerned, it is an imperfect, overly lenient deal that grants too much legitimacy to Iran as both a nuclear power and a player in the Middle East. The deal did nothing to address Iran’s support for Houthi rebels in Yemen, Hezbollah in Lebanon, and arguably made funding those groups easier by lifting economic sanctions on the country. All those are serious flaws, and are valid points of criticism of the deal. 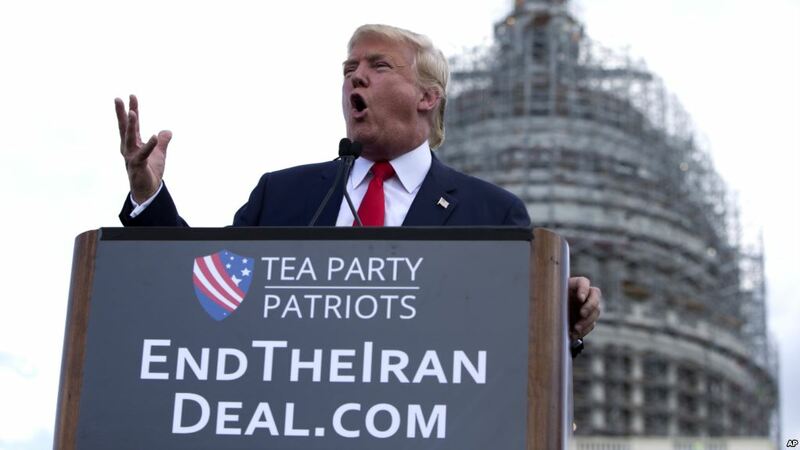 Trump’s primary criticisms of the deal, however, are not based upon those arguments. Instead, his opposition to the Iran deal is largely based on misinformation: for example, in an interview with The New York Times, he said that “we give them $150 billion, we get nothing from it,” referencing a common source of confusion regarding the nuclear deal. The sum he was referring to – actually around $100 billion, and roughly half that amount after taxes – is from the legal sale of oil in the United States and the West, frozen under previous sanctions. The United States did not lose any money on the deal; it was merely giving the Iran their money back. Trump has also bemoaned the fact that the Iranian government has continued to test ballistic missiles, though the Nuclear Deal’s restrictions do does not extend to standard weapons development. Another incorrect assertion that Trump has made in criticizing the deal is that it extends beyond Iran’s nuclear program to the activities of their government abroad, and is therefore not being honored by the Iranians. This is patently false. The six countries that negotiated the deal made it clear that its goal was to prevent a nuclear arms race in the Middle East, not to curb Iranian activity abroad. To throw out the deal because it does not restrict Iran’s external activities would be a destabilizing mistake. Even in Israel, one of the strongest critics of the Iran deal at the time it was reached, many within the country’s security apparatus have expressed the opinion that the deal should be preserved in the interests of Israel and the Middle East. Defense Secretary James Mattis has added his support, saying the deal was in the country’s “best interests.” Joint Chiefs of Staff Chairman Joseph Dunford also said he supported for the deal, adding that it has “delayed the development of a nuclear capability by Iran.” While any other American president would likely listen to the two most powerful defense officials in the country, particularly when both came out so forcefully in favor the deal, Trump has remained steadfastly committed to terminating it. Based on the provisions of the nuclear deal, Iran will not regain full nuclear testing capability until 2030, when the deal’s sunset provisions expire. That fact is crucial for one reason: the Iran of 2030 will look very different from the Iran of today. As members of the old Islamist order retire from public life, a wave of younger, more moderate Iranians will take their place. For the present, Iranian affairs remain in the hands of the Ayatollah and his cronies on the Guardian Council, a deliberative body of Shia clerics who have final say over most affairs of the state. But younger Iranians are simply too moderate, and indeed too secular, to allow religious figures in their government to pursue such a dangerous policy in the long term. The reformist views of young Iranians are visible, for example, in the furious response from younger voters last year, when the government forbid reformist candidates from running in local elections. In addition, while a majority of Iranians currently oppose the deal, opposition is far stronger among the uneducated in the country, a group that skews older than the national average. Because of Iran’s shifting demographics, it is not unreasonable to think that, in a decade or so, the Guardian Council will not be able to successfully quell the calls for reformist tendencies that have increased in popularity and intensity in recent years. For that reason, the adoption of a reckless nuclear program like North Korea’s appears highly unlikely in Iran. Although the Iran deal provides few enforcement mechanisms, there is little to no evidence to suggest that the Iranians are violating any part of it, as Trump suggested this month. Even some of Obama’s harshest critics have been forced to admit as much, as Pat Buchanan did in a recent article in The American Conservative. Buchanan also provides an interesting explanation as to why the Iranian government agreed to the deal. As he sees it, they were fearful of suffering the same fate as the Iraqis did when they were accused of nuclear experimentation. While Buchanan’s article quickly shifts to blaming the Israelis and American war hawks for exacerbating tensions with Iran, his central argument is solid. As he so succinctly put it, “if Iran wanted a bomb, Iran would have a bomb.” Beyond any theocratic notions, the Iranians are motivated by a rational self-interest. Now, Trump’s rejection of the deal may lead to greater tensions in the Middle East and increasingly volatile relations between the United States and Iran. Whether or not the United States fully rejects the Iran deal – which seems unlikely given that Congress has final say over the cancellation of the deal – the President has certainly jeopardized the balance of Mideast peace, and in the process given rise to more vociferous opposition from moderate Iranians. Over the protests of his own top military advisors, Trump has pursued yet another policy shift designed to generate press coverage, to the detriment of US foreign policy. As long as the President remains cut off from political reality, he will continue to pursue dangerous policies like he has done with Iran. The question for those in Washington is whether and how the damage he causes can be undone in the long run.